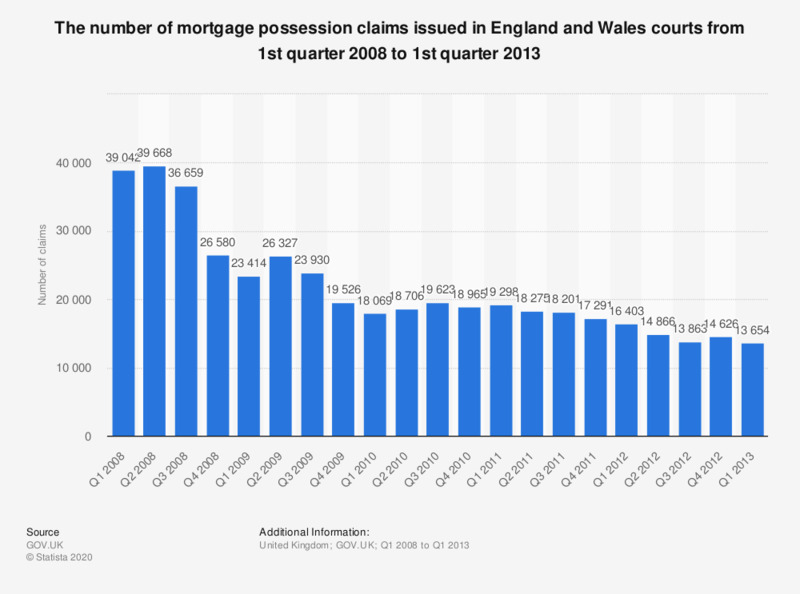 This statistic shows quarterly figures for mortgage possession claims filed in the country courts of England and Wales between the first quarter 2008 and the first quarter 2013. A decrease in the number of claims was observed after the outbreak of the global recession and housing market crash in 2008. In the first quarter of 2013, the mortgage possession claims amounted to approximately 13.7 thousands cases.